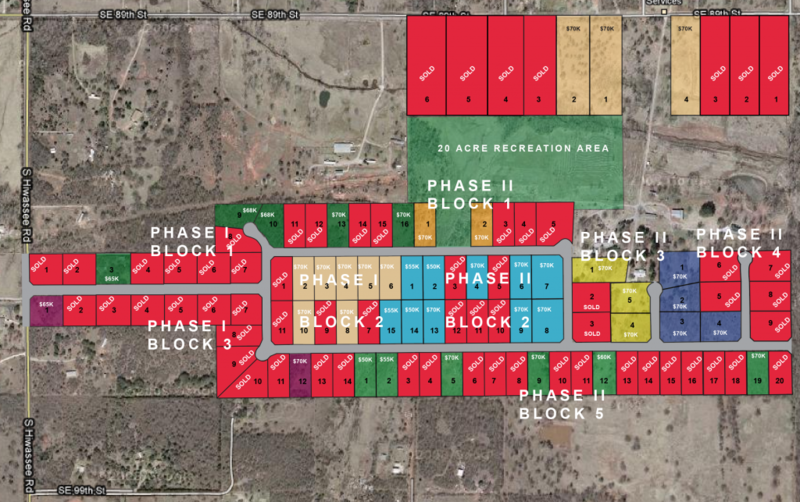 Phase I consists of 41 lots of an acre or more. Phase II, the final phase, consists of 54 additional lots. Choice lots are moving fast, so contact us to reserve your lot today. You can buy your lot now and build later. View a Google map of the development location and surrounding area.